Window Film for Home, Office, Hotel, Building, Boats and more..
For Home, Office, Hotel, Restaurant, Boats, Building and more..
For Home, Office, Restaurant, Schools, Boats,Buildings and more..
For Home, Office, Hotel, Schools, Boats, Building and more..
For Home, Office, Hotel, Restaurant, Boats and more..
PRESTIGE WINDOW FILMS is a window tinting company with a very well equipped team of experienced professionals and window tinting experts to give you a good quality of service for all types window films and window graphics. Our aim is to gain customer satisfaction and building a higher level of trust with different range of products available. Decorative Window Film, Safety & Security Films, Anti-Shatter films, Privacy & Sandblasted films, Whiteboard films and window graphics. 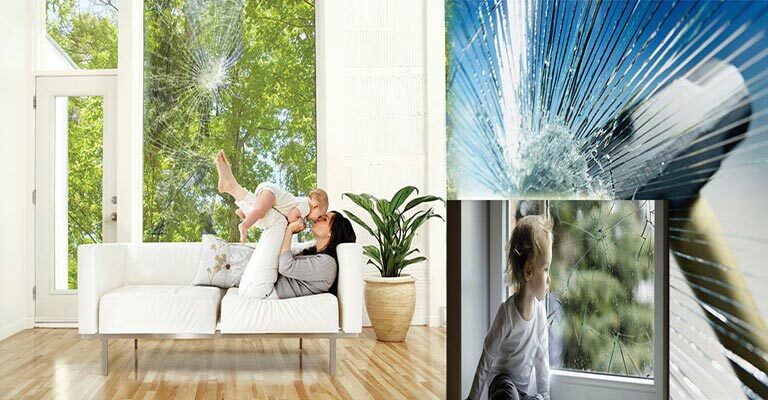 We offers a wide range of Sun control, energy saving and safety window films in Dubai. We offer all types of window film and window tinting Supply & Installation services in a Vast range of applcations such as Homes, Offices, Hotels, Buidings, Schools, Marine Vehicles, Boats, Ships,etc., Feel free to contact us to help you to Find out the best match of Window Films suiting your requirements and to install it on the glasses at your place. Our window film installation team operates nation-wide in all over the UAE region and have a wealth of a very good professional experience, allowing them to guarantee a perfect finish with the minimum of fuss( worry, or excitement that is unnecessary or greater than the situation deserves). To keep the sun's heat out of the house, a low-emissivity window film coating should be applied to the pane of glazed windows. these films are designed to provide also heat energy in the winter and keep heat inside the house (typical of cold climates), it is better advised that the low-emissivity film coating should be applied to the inside pane of glazed windows. Such window tinting films also reduce the amount of visible and ultraviolet radiation entering a window, and are often applied to reduce fading of the contents of a room. Silvered film may also be employed to the same end. Spectrally selective films act by blocking certain wavelengths of the sun's infrared radiation and reject heat without reducing natural light. Safety and security film and blast control film are polyester or PET films that are applied to glass and glazing in order to hold them together if the glass is shattered. 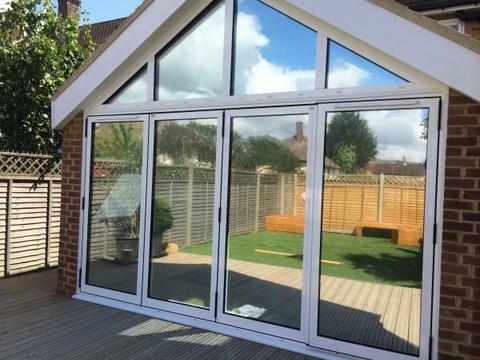 Safety film are applied to glass so when the glass is broken it holds together, preventing dangerous shards from flying about, or to make it more difficult for an intruder to gain entry. The main difference between film and laminated glass is that these Shatter Safe films can be applied to the glass or glazing after manufacture or installation, i.e., it is a retrofit product. These safety & security films are used widely all over the world. The Anti shatter film is adhesive coated to bond them to the glass. The better anti shatter film are smooth-coated, because they have far superior optical clarity. Safety and security films are designed to perform under adverse conditions. 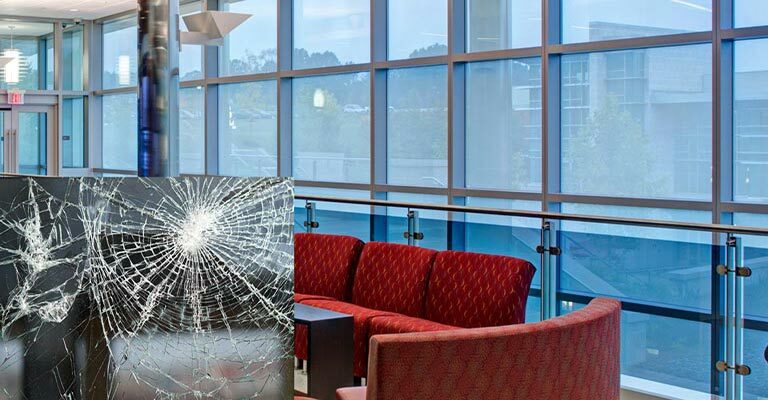 Safety and security films are used where there is a potential for injury from broken glass (such as glass doors or overhead glazing). These films can be applied to toughened, annealed, or laminated glass. The safety window films can be applied for security applications, where a delay of forced entry is desired. These films can be applied in food processing facilities where glass needs to be contained should it fracture and not fall into the food/s processing facilities. Shatter Safe Films are approved and applied in many food and beverage processors around the world. Decorative film is a self adhesive sticker film one can better use to decorate their glass as it enhances the look of glass and is easily removable. Everyone here wants its place and environmental appearance to have a very beautiful and an elegantly visual look. So we set and decorate our places with various additions and modifications to add an enhanced good look to it. 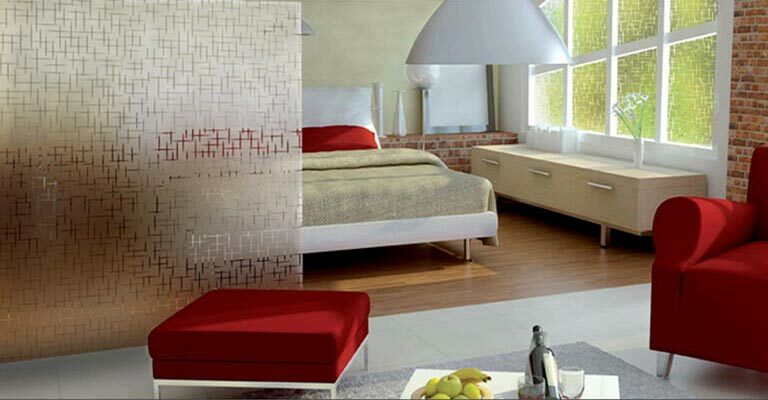 The decorative window films are applied on glasses, Walls, Doors, etc., as you desire it to be applied. Decorative window film not only just transforms the physical appearance of the Windows, Partitions and other smooth glass surfaces, also it opens up a wa on to Utilization of the space and the way you think on designing. These Window Films help in fuelling up your inspiration and bring out to life any Vision you have in the form of design on the Decorative film. 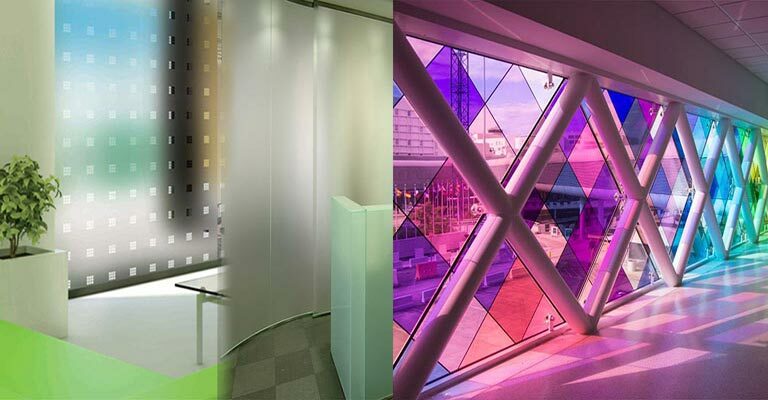 Along-with adding good visual appearance, fresh ideas are inspired with the decorative film which in a way help enhancing interiors, creating privacy, filteration of light and many more. These also come as a preset patterned window Film which is a very good, eassy and perfect form of way in adding a whole new dimension to your Windows, Doors and other glass panels. Our products also come with a vareity of selections of Graphics and designs you can choose from for your windows, doors, walls and floors. Decorative Films can be used in applications like shopfronts windows, office block windows, and house windows. This is often done to increase privacy and adding up to beautification of the place. Decorative Window films are also used to apply See-through graphics to glass and other transparent surfaces, to provide advertising, branding, signage and decoration. See-through graphics are most commonly applied using a perforated window film with a graphic visible from one side but not the other side, which remains see-though. Vehicle wraps on buses are perhaps the widest application of See-through graphics. Prestige Window Films has a range of privacy Window film to offer, that can deliver a range of appearances, performance and durability. These films are a very good alternative as to blinds or curtains which when drawn close block the view both ways, at the same time also making rooms dark. Privacy window film is designed to allow good light transmission, ensuring that a good level of natural light is allowed to enter the room whilst also maintaining a good view. Unlike that of the blinds and curtains, window film is also easy to clean – it can simply be cleaned and wiped up using simple household cleaning products. During the time of the Day One-way privacy can be achieved by the use of one of our reflective range of window film. This privacy level is achieved by providing a reflective appearance of the film on one side of the glass, whilst vision is being allowed from the other side as desired by you. The film works on the balance of light intensity, with the side of the film that is brightest exhibiting the reflective properties. During daylight hours this is always the side of the film facing outwards, making it ideal for daytime privacy. The Two-way privacy can be guaranteed with an application of our range of or Frosted Sticker. Once applied, this versatile film gives windows the appearance of acid etched or sandblasted glass, preventing vision from both sides of the pane at the same time allowing adequate amount of light to pass through it. This film provides an immediate and beautifully stylish privacy solutions for your glasses, Windows, Doors, Patitions, etc., and can be provided cut to your exact size specifications or by the metre with a range of designs and patterns to choose from to be applied on the film. 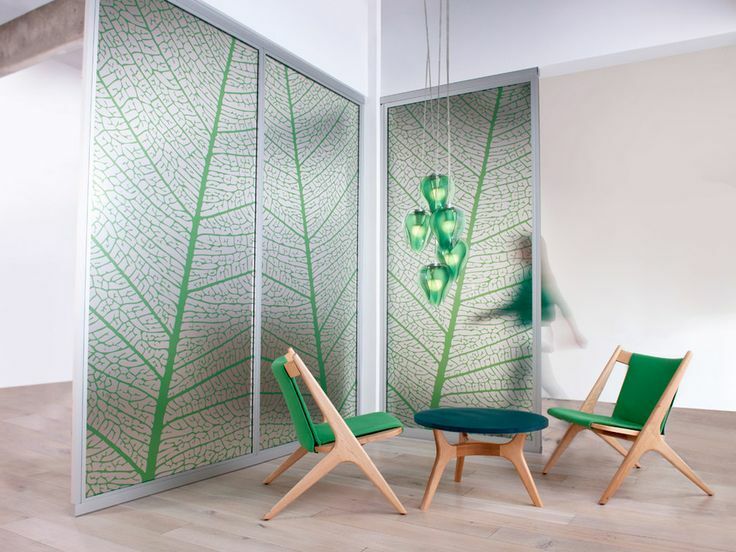 Our frosted film is also available featuring a range of cut patterns, can also be supplied featuring our eye-catching printed beautiful preset designs to choose from and you can also get customized your own design or artwork, allowing you to create an elegant and eye-catching privacy solution. The one-way mirror film, also is called the two-way mirror(or two-way glass) film and semi-transparent mirror film, gives a reciprocal mirror effect that is partially reflective and partially transparent. The perception of one-way transmission is achieved when one side of the mirror is brightly lit and the other side is dark. This allows viewing from the darkened side but not vice versa. Reflective one-way mirror film is typically used as an apparently normal mirror in a brightly lit room, with a much darker room on the other side. People on the brightly lit side see their own reflection, it looks like a normal mirror. People on the dark side see through it. It looks like a transparent window for people on the dark side. The light from the bright room reflected from the mirror back into the room itself is much greater than the light transmitted from the dark room, overwhelming the small amount of light transmitted from the dark to the bright room; conversely, the light reflected back into the dark side is overwhelmed by the light transmitted from the bright side. This allows a viewer in the dark side to observe the bright room covertly. Window film are a thin laminate film that can be applied or installed to the glass surfaces in automobiles, boats, and also to the flat and curved surface of glass, Partitions, Doors, etc., for Homes, Offices, Hotels, Resorts, Schools and buildings. Window films are generally categorised by their construction components (dyed, pigmented, metallized, ceramic or nano), by their intended use (automotive, marine or architectural) and/or by their technical performance (privacy, solar control, safety and security). Window films are an extremely cost-effective method to reduce heating and cooling costs in existing buildings by reducing the amount of heat transfer through glazing. Such films also reduce the amount of visible and ultraviolet radiation entering a window, and are often applied to reduce fading of the contents of a room. Silvered film may also be employed to the same end. Spectrally selective films act by blocking certain wavelengths of the sun's infrared radiation and reject heat without reducing natural light. Ceramic window films cost slightly more but provide a substantial increase in blocking UV rays and ability to control heat transfer. Window tinting can be used in applications like shopfronts windows, office block windows, and house windows. This is often done to increase privacy, and decrease heating and cooling costs. Window tints are used in some energy efficient buildings. They can provide thermal comfort and are one of the most cost-effective and environmentally-friendly energy improvements, especially in hot and mixed climates. 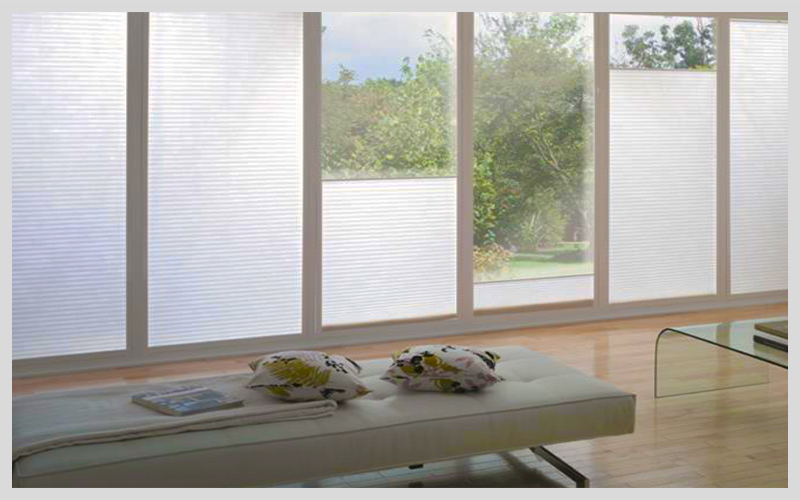 We also have variants of spectrally selective window film which are more clearer with higher heat protection. Home-owners seek the benefits of window tinting on a daily basis, whether or not they realize it. During the day time some close the blinds as prevention against the heat of the Sun, Harmful UV rays or Sun-glare; while others turn down air-conditioner, despite the comfort, to prevent a higher energy bill. These concerns are among the reasons that homeowners consider investing in the professional installation of window tinting films on the glass. 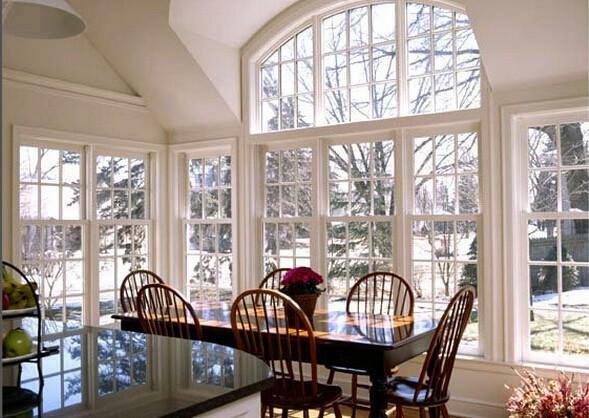 Residential and Commercial window tinting films offer many of the benefits like energy savings, safety, UV protection and decorative enhancements. PRESTIGE WINDOW FILM is a professional window tinting installation company able to match each client with the best film to address his or her needs. Window tinting film offers not only an aesthetics-minded choice but also these sought-after benefits. One of the most influential reasons to go for the residential window tinting is that you save on your home’s energy bill for a long-term. The heat from the sun dramatically rises the temperature inside the home. By installing window tinting film on the window glass or the glass panels, the home’s heating and cooling energy bill reflects a decrease in price of up to 30 percent, which in turn benefits both your wallet and the environment. Window tinting films reflect the heat from the sun and also reduces glare from sun rays. Glare through these traditional window glasses can have an impact on the productivity and comfort levels when you are working on your computer, watching television, reading, cooking, and doing other such activities and chores at Home or office. In a window-tinted home, the glare is reflected, so one can continue cleaning the floors or watching their favorite shows or working in the office without any interruption from that of the sun glare. The home becomes more of temperature-consistent as for the room to room when, the heat from the sun is reduced. In a home that has no window tinting film, the rooms often have inconsistent temperatures due to the sharp beating sun-light penetrating through the window-glasses, despite the setting of your thermostat. Window tinting film does help in creating an even temperature throughout the home all day long—meaning no more unintentional heat and light in the rooms from Sun. Whether people do believe it or not,the rays from the sun-light may cause sunburn to you while sitting on the couch if close enough to a window with the sun shining through. According to the Skin Cancer Foundation, UV radiation is the leading cause of non-melanomic skin cancers and also a frequent factor inn the cases of melanoma. Window tinting film reduces 99 percent of ultraviolet (UV) rays and therefore, protects people at work-place or you and your family when present inside of the home. Window tinting film is water resistant and a scratch-resistant coating is available always, making the window of your home just as much easy if not easier to clean it. There are different types of tinting films which may require different cleaning agentsfor cleaning, so be sure that you do get the recommended instructions from your installation service provider. And it also depends upon the type of window tinting film that you opt for that how often cleaning is needed for your glass tinted. 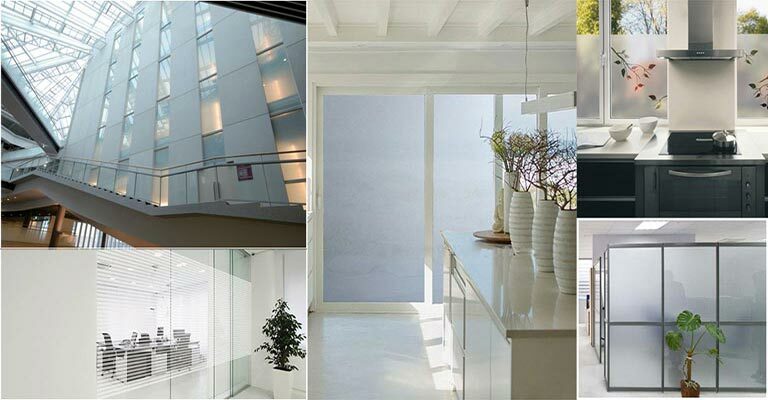 An element of privacy from the outside world, especially when your home is located in a busy area or has a significant number of windows, can be achieved with window tinting film or Privacy Frosted sticker. The privacy of window tinting film or the frosted film is a desired comfort for many, giving you peace of mind that a passerby is not able to peer in and see you and your family. Thus it provides an added privacy to the glasses at your place. 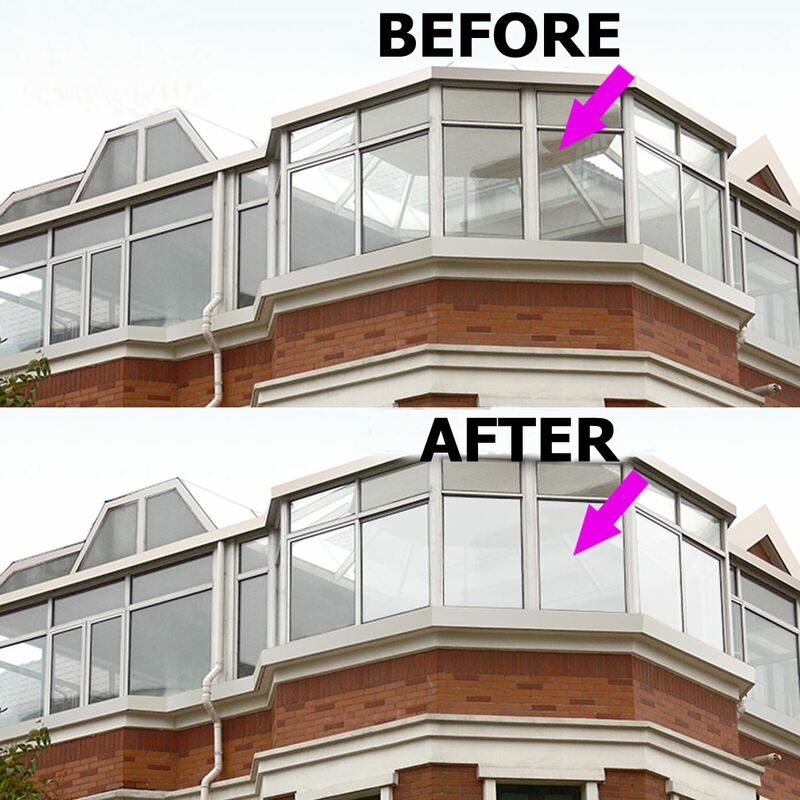 During a newly-built or a renovation project, window tinting film should be a topic of discussion when considering improvements for the Elegance or curb appeal of the property. Solar films and decorative films add that sleek, elegant look to the outside of your home and are often one of the key benefits for those who are interested in these products. Window tinting does provide many of the benefits and also they are indeed aesthetically pleasing as well when we talk of the appearance. Interested in Window Film Products and Services from us? We are window film company with over a decade of experience with a very well equipped team of professionals, experts and technicians to provide to you a good quality of service when for window tinting, wall and window graphics.